Learn to play the greatest sport on earth. Learn to Play Hockey! Spring classes start March 31st and meet on Sundays from 11:30am to 12:30pm. We follow the USA Hockey IP (Initiation Program) which includes: Fun, Skating Skills, Basic Stickhandling and Shooting, Basic Hockey Rules, Physical Conditioning, Team Play, Player Safety, Sportsmanship, and targets Progressive Development that prepares each player to join a team and become members of Kent Valley Hockey Association! Our Beginner Hockey Program Instructors are experienced hockey coaches and parents who are committed to teaching the sport of Ice Hockey in a manner that is both fun and challenging. KVHA and USA Hockey require that all coaches and parents working with children in any capacity be registered with USA Hockey, and pass a mandatory background check. USA Hockey certified coaches attend educational seminars in the latest coaching and training techniques, so you can relax and let your child have fun and fall in love with the great sport of hockey. What about all the equipment? Great question and no worries! 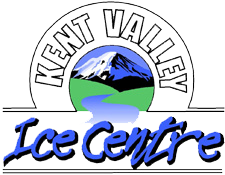 Kent Valley Ice Centre offers an equipment rental package for students in our Learn-to-Play-Hockey Program. The rental cost is $80.00 for the spring session, (plus a $100.00 security deposit refundable upon return of the equipment). Your rental gear package includes: Helmet, Skates, Pants, Shin Pads, Shoulder Pads, Elbow Pads, Gloves, and a Hockey bag to carry it all. You will need to purchase a couple items, including a mouth guard, protective cup, hockey socks, and your own stick. All of these items are available in our Pro Shop. If you already have rental equipment from our regular season, you can extend your rental for $80.00 and no additional deposit is required. • 8-week series cost is $162.00.